It is the goal of Christian life to do as Jesus did and live like Jesus lived, and this week, Mario Lopez took that seriously. 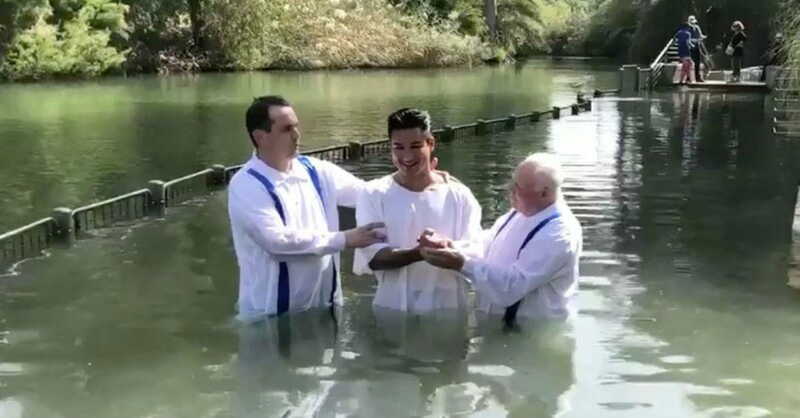 The American television host and actor (from shows such as Saved by the Bell, Extra, and The X Factor) was baptized in the Jordan River, the same place Jesus was baptized by John the Baptist. The account of John baptizing Jesus can be found in Matthew 3:13-17. Lopez was raised in a large Catholic family, and his baptism was performed by two Catholic priests. In the video Lopez shared of the ceremony, the priests asked several questions such as "Do you believe in Jesus Christ?" and "Do you intend to serve him all your life?" to which Lopez answered emphatically, "Yes, I do." A Fox News article from 2015 highlighted Lopez's Catholic faith, saying "religion and his faith have always been an important aspect of his life. He goes to church every Sunday with his family, and if for some reason he is not able to, he makes sure he lights a candle in any church later that day or in the week." With Easter Sunday just about a week away, Lopez's baptism is a fitting celebration and reminder of the new life we all can have in Jesus Christ. What a beautiful way to live like Christ, follow in his footsteps, and proclaim his resurrection. We can only imagine echoes of the voice from heaven from Matthew 3:17 saying again, "with him, I am well pleased."